I am a descendant of Alexander Grassick from his son, William, who emigrated to Ontario, Canada with his family in 1847. This tombstone is one of the key "records" that helped me to connect William with his family. 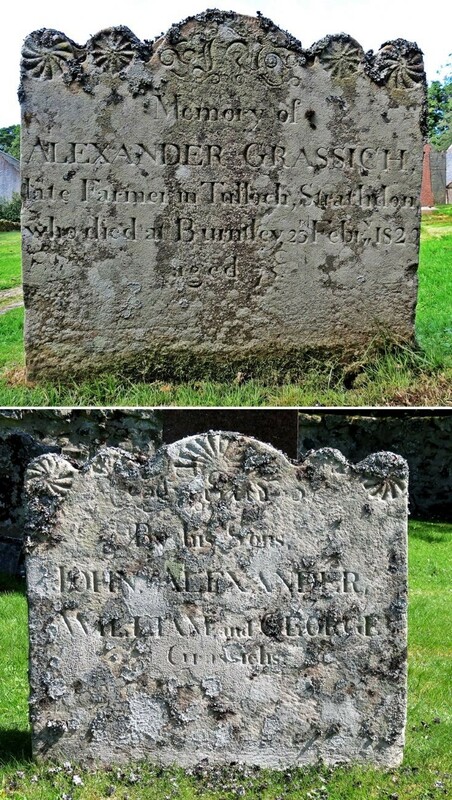 My husband and I will be travelling from Vancouver, BC to Aberdeenshire in two weeks' time and I look forward to seeing this tombstone in person. I do have some questions: does anyone know where the farm Tulloch was located? Is there a house located in Glenbucket named Burntley?